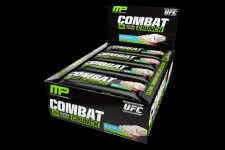 "... By far the best bars and my current new favorite is the Birthday Cake.. soooooooooooo good!" Long gone are the days of Detour style bars.. these ones are good for yah! Where the problem used to lie with protein bars in general was to make them taste yummy and chewy but also keep that healthy protein profile. Many have come and gone and while some appeared at first to have that combination down pact.. it was later revealed that they were spiked with sugars and carbs. 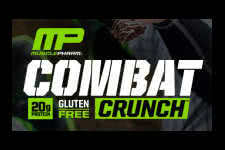 Well the new age has come and along with the Quest Bars, these Combat Crunch Bars have set the new standard. With only 5g of sugars and a whopping high quality 20g of protein - it's the perfect quick snack when you need it. 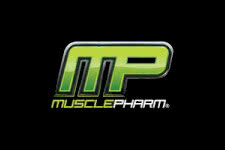 Prevent your body from going catabolic, and have these on you wherever and whenever you may go. So many amazing flavors with more new ones released each year. Some of our popular choices include their Chocolate Chip Cookie Dough, Cinnamon Twist and of course the one and only White Chocolate Raspberry! Long are the days of upset stomachs, or gut rot that other protein bars once caused. Be sure to check em out and find yourself never looking back! Amazing protein snack for on the go so you'll never go hungry! Tested through years of research for the highest ingredients and flavors!